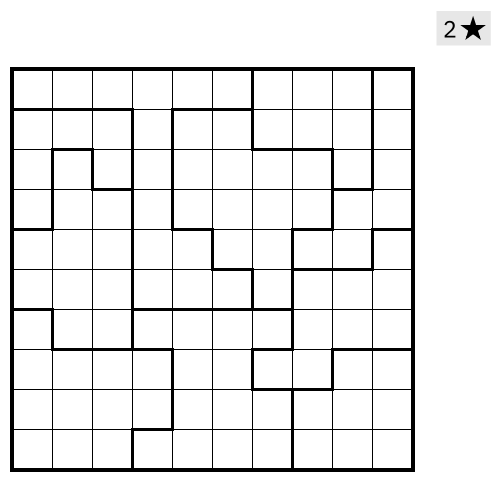 Didn’t solve it yet, but the feedback in our mailing list before WPC was, that this puzzle doesn’t have a solution? Found a unique solution, that doesn’t seem to have any problems (like touching stars or broken Heyawake constraints). Either I’m missing something or one of the mails was a little bit misleading. Yes, I believe that comment was withdrawn.